Enjoy a premium educational experience, free for charge, that fits into your busy schedule. 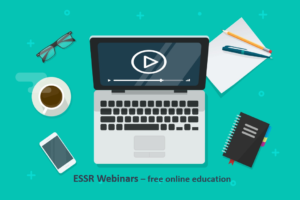 The ESSR live webinars are designed for radiologists and residents in radiology with an interest in musculoskeletal imaging. Other healthcare professionals are also welcomed. Beside selected open access videos, past webinars can be viewed at the members’ area of the ESSR homepage. 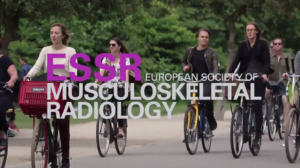 The aim is to promote the society’s mission in education and research of the imaging of musculoskeletal diseases with a focus on the European tradition of problem solving in this field. New knowledge should be brought from science into clinical practice. The webinars contain interactive lectures given by opinion leaders in their field, clinical case vignettes, live discussions, and practice tips. Presentations are optimized for micro e-learning, i. e. for the comfortable use with mobile devices. The learning objectives are oriented on the requirements of the ESSR Diploma and the musculoskeletal part of the ESR board examination. Webinar places are limited and will be offered on a first-come, first-served basis. Early registration is recommended. Each webinar will last approximately 60 minutes and consists of a mixture of case presentations, a formal lecture and multiple choice questions with an opportunity for discussion at the end. The webinar will be available offline after the online presentation (ESSR MyUserArea > Educational Material). Accreditation in progress for the ESSR Diploma. CME Accreditation to be defined.